A research team led by Professor Neil Wrigley of the University of Southampton's School of Geography has completed a major study of consumer reaction to the transformations currently sweeping through the UK convenience store sector. Their study, which involved case studies of four local communities in Hampshire, focused in particular on monitoring the shopping behaviour and opinions of consumers in those communities following the conversions of previous One Stop convenience stores into the Tesco Express format. 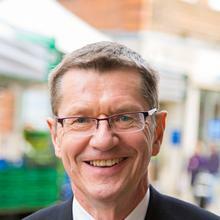 Commenting on the findings of the study, Professor Wrigley said: "It is clear that the introduction of the Tesco Express format to these communities helped bring about a major re-localisation of top-up shopping – away from distant superstores towards local shops. If consumers can access the same quality of fresh food and product ranges locally as they do in larger supermarkets, then increasingly it seems they will divert their top-up shopping back into their local neighbourhood. This may have potential benefits for other traders, but more interestingly has considerable significance in changing the way we shop – with more people walking and cycling to stores. "Our study was conducted on behalf of Tesco as a contribution to public policy debate on issues where arguments are currently both heated and polarized, but where robust research evidence is almost entirely lacking," added Professor Wrigley. 1. A major shift in the location of secondary food shopping for many respondents, away from distant supermarkets and towards stores in the local community – primarily the Tesco Express store, but also other local stores. The research team terms this effect a relocalization of secondary food shopping. a) A major substitution of walk/cycle-based food shopping journeys to local stores in place of car-based journeys to more distant supermarkets, offset to a minor extent by slightly greater use of cars for short distance food shopping journeys to those local stores. b) The research team estimates the increase in walk/cycle based food shopping travel miles per month to be 9 per cent, and the decrease in car-based travel miles per month to be 4 per cent. Respondents could now access products locally they previously had to drive considerable distances to obtain. In particular fresh/healthy foods were the product groups respondents indicated that they currently bought more often at the Tesco Express stores than they did at the unconverted One Stop stores one year previously. 4. Respondents perceived a major increase in the quality and range of products available, and in the quality of the store environment, following the introduction of the Express format. More than 60 per cent of respondents suggested that the converted stores were cleaner, their layout had improved, the quality and range of fresh fruit and vegetables had improved, and the quality and range of other foods had improved. Slightly greater numbers of respondents believed that they now used other local stores more rather than less often than they did one year ago. However, the majority suggested no change in their use of other local stores. Most items now bought at the Tesco Express stores, but not at the One Stop stores prior to conversion, were not bought at local independent stores one year ago – rather they were bought at more distant superstores. That is to say top-up shopping has, to an overwhelming extent, been diverted from more distant supermarkets, and not from other local independent stores. Indeed several cases of positive spillovers of trade following the opening of the Tesco Express stores were reported by respondents. Professor Neil Wrigley is Professor of Human Geography within Geography and Environmental Science at the University of Southampton. The research was commissioned by Tesco, but conducted independently of the company, with no involvement in its design, execution, or analysis. The University of Southampton retains full rights both to the intellectual property rights of the study, and to publish any findings (negative or positive to the sponsor) which emerged from it. A group of academic experts from other universities provided a peer review function throughout the project. The four local communities were the semi-rural communities of Whitchurch, Four Marks and New Alresford, together with the low-income inner-city community of St Marys, Southampton. All four communities studied had experienced the conversion of a previous One Stop convenience store to a Tesco Express between August and December 2004. A total of 650 respondents provided information on their current shopping behaviour, their shopping behaviour one year previously (prior to the conversion), their perceptions of changes in the shopping environment, and basic demographic, household structure, car availability and attitudinal information. The research took place from March to July 2005. The University of Southampton is one of the UK's top 10 research-led universities, with a global reputation for excellence in both teaching and research. With first-rate opportunities and facilities across a wide range of subjects in science and engineering, health, arts, humanities and social sciences, the University has around 20,000 students and 5000 staff at its campuses in Southampton and Winchester. Its annual turnover is in the region of £274 million.